The Super Bowl is only a week away, and Katy Perry is preparing for her halftime performance by holding meetings with all of her VIPs. Including her dog. 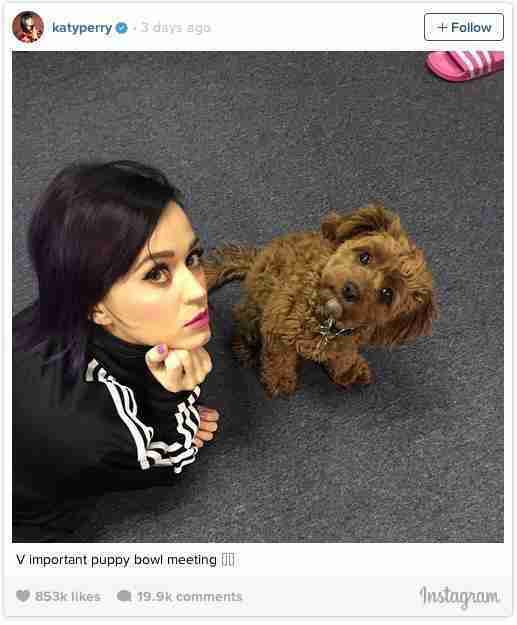 Perry Instagrammed a photo of herself in conference with her adorable puppy Butters and captioned the pic "V important puppy bowl meeting." Butters, who joined the singer's family last April, isn't actually competing in the Puppy Bowl. 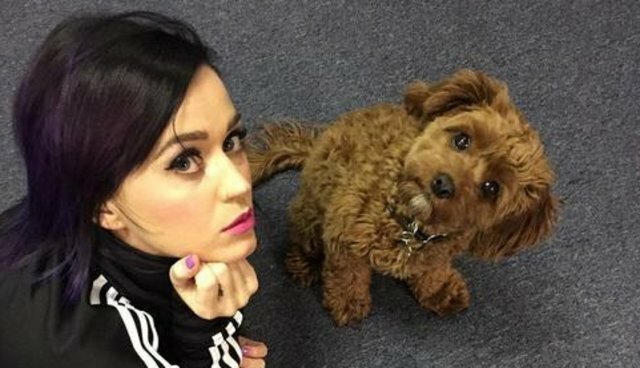 Perry was probably just asking her dog for his thoughts on her upcoming performance, and if she takes his advice we can probably expect a lot of dog treats and tennis balls at the halftime show this year. Thanks Butters!